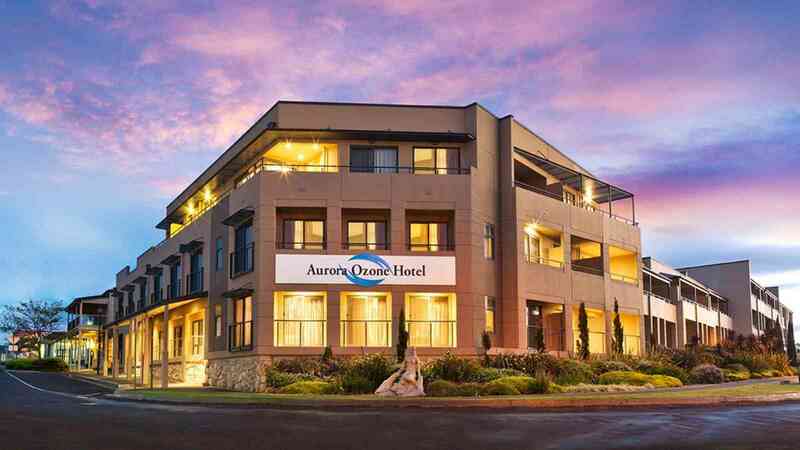 The Ozone Hotel is located on the beautiful foreshore at Kingscote. The original section of this hotel has a Victorian façade adjoining a modern extension and townhouse section. The hotel boasts a restaurant and bar on site as well as outdoor swimming pool, sauna and all rooms with reverse cycle air-conditioning. 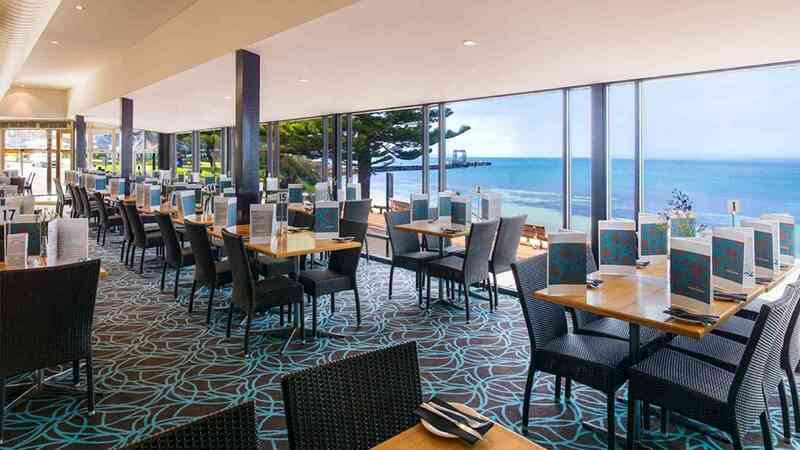 Enjoy the extensive menu made up of local produce and seafood as well as the panoramic views over Nepean Bay while dining at the bistro restaurant. Sample some of the Island's finest wines from either the bistro or Ozone Cellars. Room features a king bed or king and single bed, ensuite, LCD TV, DVD, personal safe, tea and coffee making facilities, refrigerator and hair dryer. These rooms are accessible via a lift. 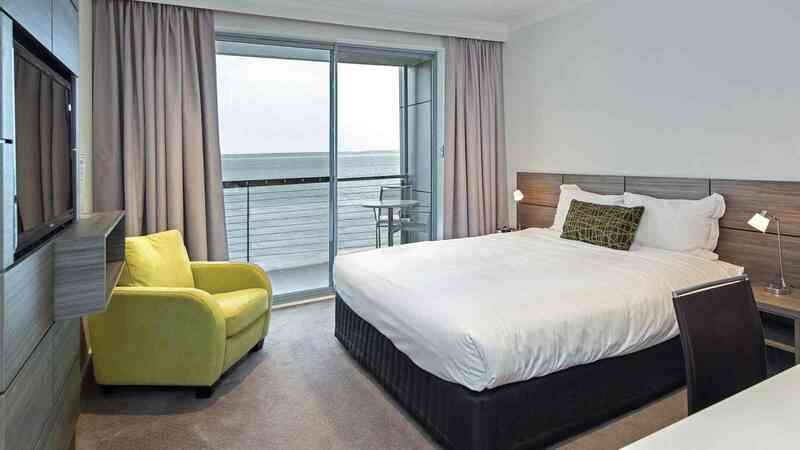 Stay in a Executive Sea View room including full buffet breakfast with our Superior Accommodation option. 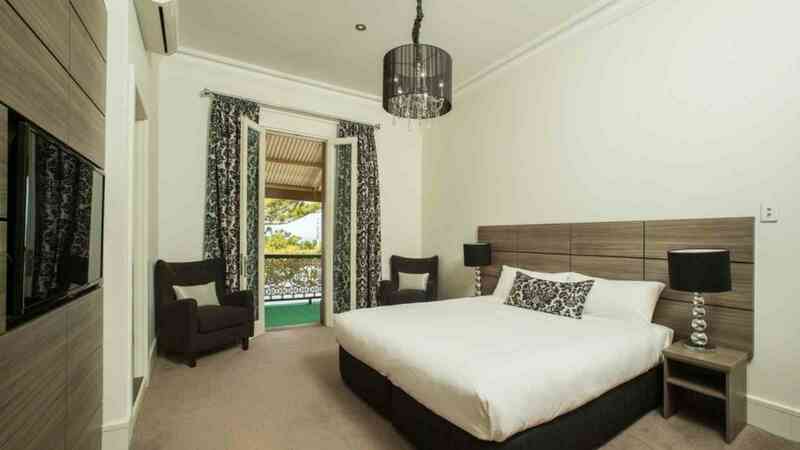 We can offer single, double / twin and triple rooms. Family rooms available in some properties. Single travellers are required to book a single room. We are unable to offer any shared rooms. All accommodation providers on Kangaroo Island have a non-smoking policy. If you request a 'free day' please note that checkout remains at 10:00 a.m. As there is no public transport available on Kangaroo Island, we recommend requesting accommodation in Kingscote (the main town) as it offers a variety of restaurants, cafes and shops.